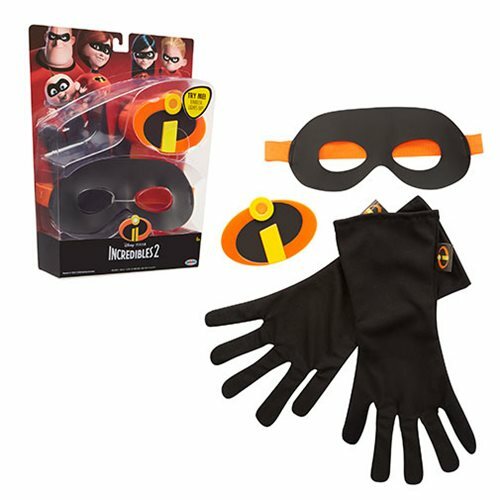 Join the Incredibles' family with this Incredibles 2 Gear Set. This spectacular gear set includes a mask, gloves, and badge. This is a must have for fans of the hit Disney/Pixar movie Incredibles 2!